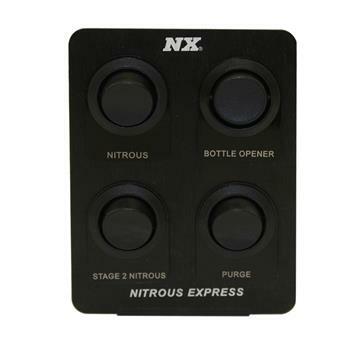 Nitrous Express Nitrous Accessories - Switch Panel UNIVERSAL - MiataRoadster - Stay tuned with MiataRoadster! 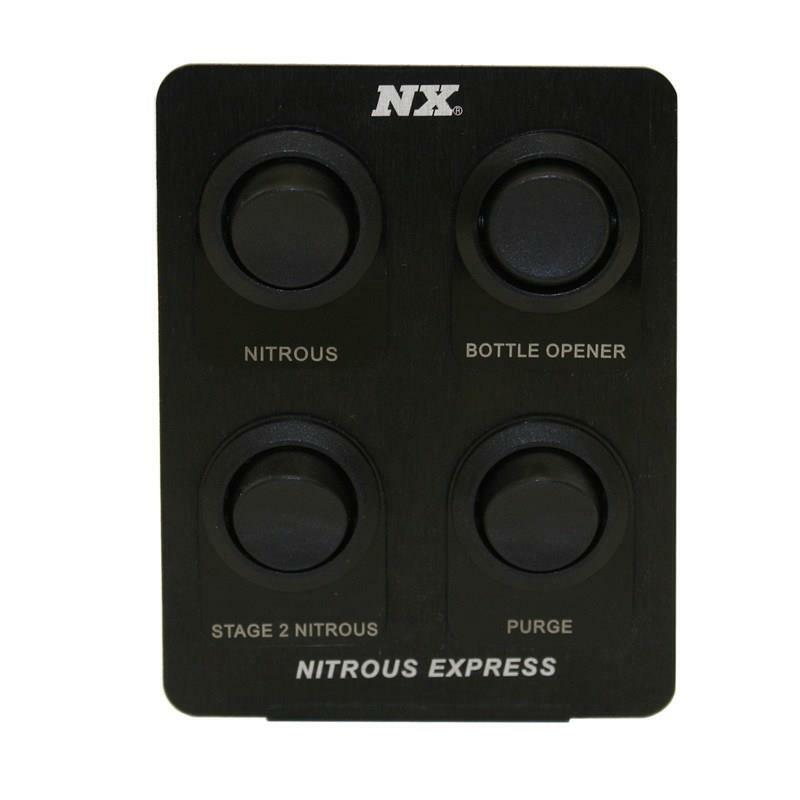 These NX switch panels offer a clean and attractive switching solution for nitrous systems as well as many other electrical devices. These switch panels include a variety of interchangeable laser engraved switch nameplates allowing you to change any switch to any location. Nameplates included are for Nitrous, Stage 2 Nitrous, Bottle Heater, Bottle Opener, Purge, Electric Fans, Water Methanol, Fuel Pump, Accessory, Go Baby Go and Ejector Seat. Need a nameplate for Machine Gun, Lights or Smoke Screen?